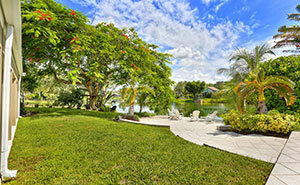 View all available homes, condos & townhouses or rentals in Pinecrest. Recognized as one of the most beautiful residential areas in South Florida, the Village of Pinecrest was incorporated in 1996. It is conveniently located just 20 minutes south of Downtown Miami and the Miami International Airport. Within its 8 square miles, Pinecrest is home to 19,460 residents. Visitors and residents alike find the neighborhood to be full of unique shops, markets and a plethora of dining options. Pinecrest also boasts several recreational areas and many pedestrian and biker-friendly pathways. Pinecrest is home to a historic landmark site, where one of Miami’s oldest attractions, Parrot Jungle, once stood. The site is now inhabited by Pinecrest Gardens, which houses such attractions as an exotic butterfly exhibit, petting zoo, playground and tranquil swan lake. Throughout the year, several recurring events are held at the park including a fine arts festival. During the summer, the park takes on the duties of summer camp. One increasingly popular event at Pinecrest Gardens is the Taste of Pinecrest, an annual spring event since 2006. The event showcases restaurants from the Pinecrest area, provides entertainment from local school groups and features a judged art show. The event is sponsored by the Pinecrest Business Association, local restaurants and businesses. Proceeds from the festival are donated to five Pinecrest public schools. Pinecrest has actively involved itself with not only beautifying its community through the addition of new parks and recreational areas, but also by striving to provide its residents with luxuries not found in every neighborhood. Pinecrest further distinguishes itself with the incorporation of free Wi-Fi spots at both Suniland Park and Evelyn Greer Park. Pinecrest even has its own radio station, WQFS 1590 AM, to help keep residents updated on upcoming events, notice of future meetings, and up-to-date information in emergency situations. Pinecrest is home to some of the very best public schools that Miami has to offer, and it gives residents a chance to own large, sprawling properties amidst lush, beautiful foliage.